The Frost & Sullivan Market Leadership Awards recognizes companies for superior leadership, technological innovation, customer service, and strategic product development. The industry analyst team at Frost & Sullivan benchmarks market participants and measures their performance through independent, primary interviews, and secondary industry research to evaluate and identify best practices. In the MSS market, CIPHER has earned the Frost & Sullivan Market Leadership award for the last six years. 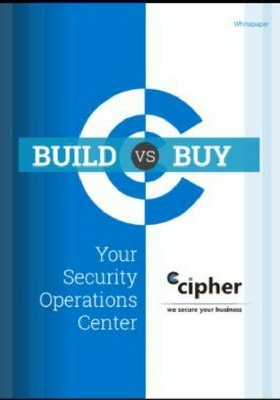 CIPHER delivers excellence through its state-of-the-art global Security Operations Centers, monitoring and managing security for enterprise and mid-size organizations. CIPHER’s MSS are delivered through proprietary and industry leading security technologies which encompass continuous threat monitoring and cyber-attack defense, incident response and event investigation, SIEM and log management, and vulnerability and compliance management. In addition, CIPHER’s own security research team known as its “Intelligence Lab” helps customers leverage threat intelligence proactively to quickly mitigate threats and stay ahead of a rapidly evolving threat landscape. The continuous monitoring of global markets allows the Frost & Sullivan team of analysts to identify companies with an outstanding performance and recognize them through worldwide recognized awards. CIPHER’s performance is evident in being recognized as a top MSSP for the sixth year in a row. Frost & Sullivan, the Growth Partnership Company, enables clients to accelerate growth and achieve best in class positions in growth, innovation and leadership. The company's Growth Partnership Service provides the CEO and the CEO's Growth Team with disciplined research and best practice models to drive the generation, evaluation and implementation of powerful growth strategies. Frost & Sullivan leverages over 50 years of experience in partnering with Global 1000 companies, emerging businesses and the investment community from 45 offices on six continents. To join our Growth Partnership, please visit http://www.frost.com. Our clients consist of Fortune 500 companies, world-renowned enterprises, and government agencies with countless success stories. CIPHER provides organizations with proprietary technologies and specialized services to defend against advanced threats while managing risk and ensuring compliance with innovative solutions.